How do I export my contacts from Wealthbox? 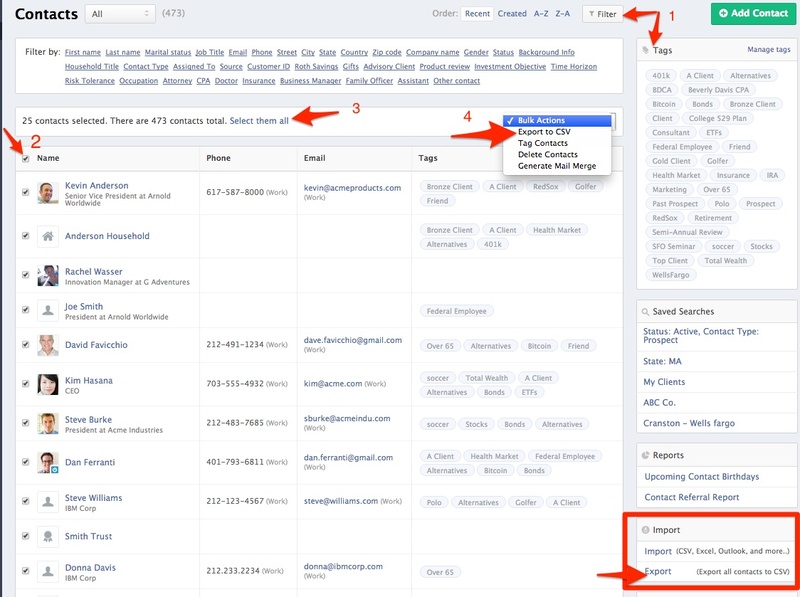 From the Contacts page, you can choose to export all contacts into a CSV file or filter your contacts using the “Tags” or “Filter by” options to export a group of contacts. If you would like to export all contacts, you can simply click the “Export” option from the right panel. Click the box to the left of “Name” at the top of your list. You will receive an email notification when your export completes OR you can navigate to your "Export" page by clicking the three vertical dots in the upper right corner and selecting "Settings". From there you can click "Export" within the "Workspace" section to find "Recent Exports". 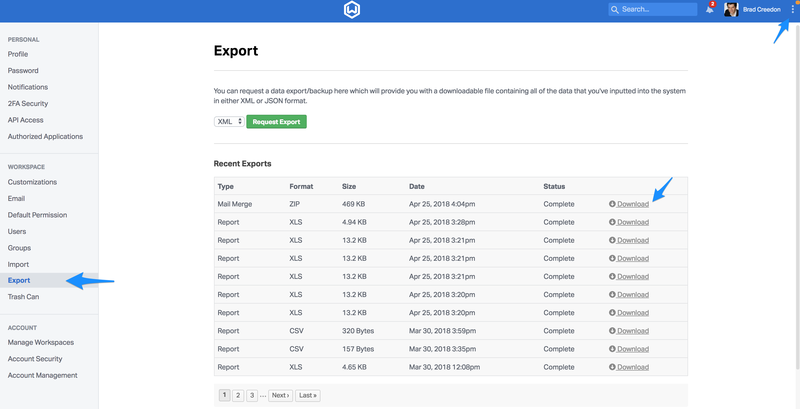 If your export is not complete you will see "In Progress" under the "Status" and when the file is "Complete" you will have the "Download" option.